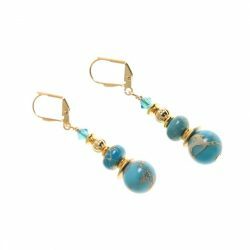 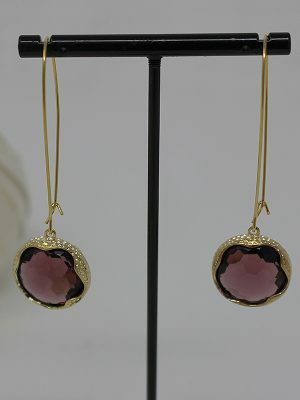 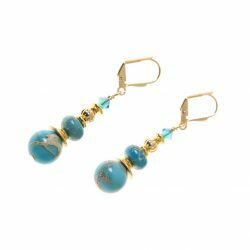 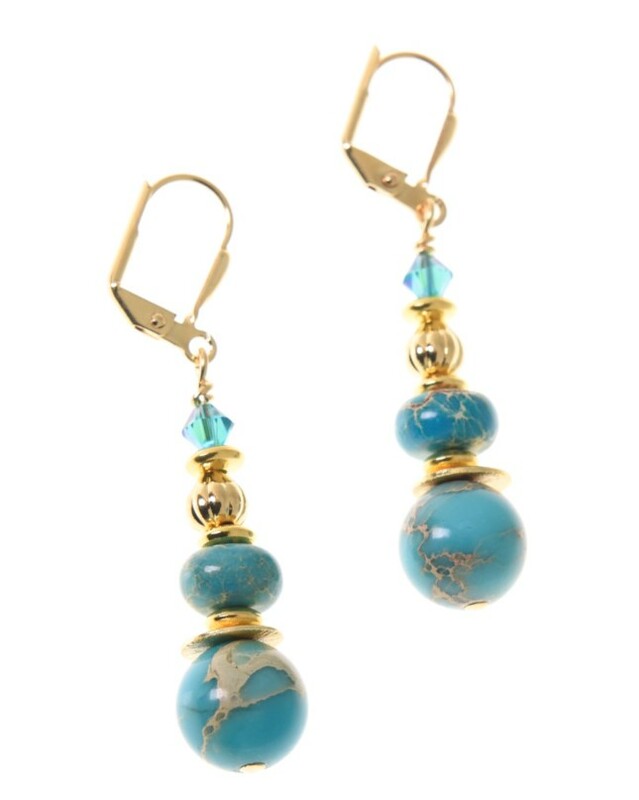 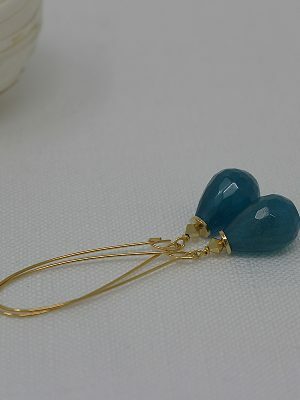 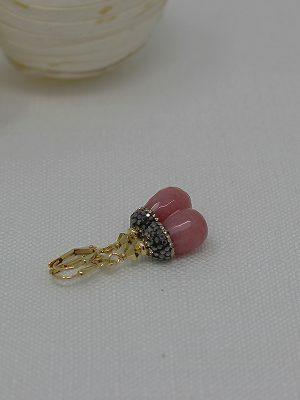 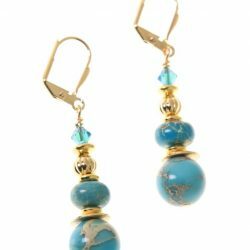 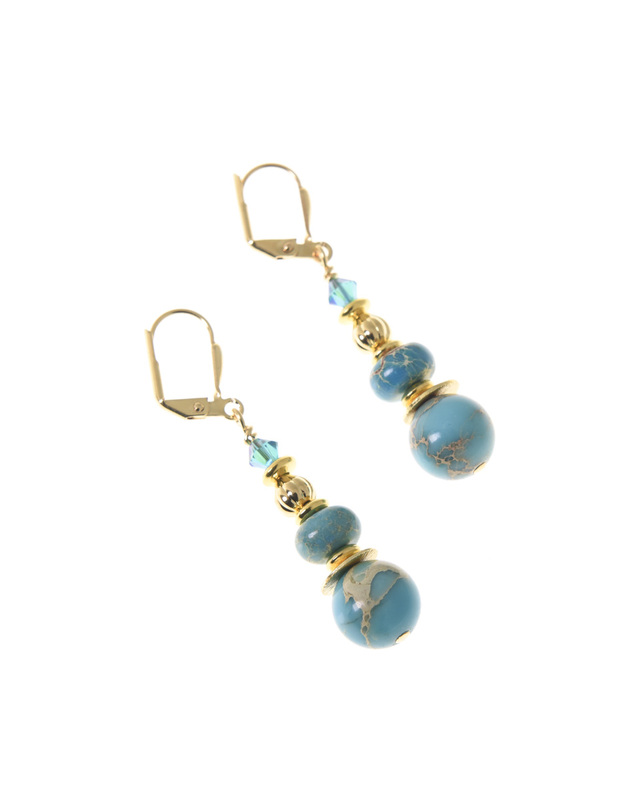 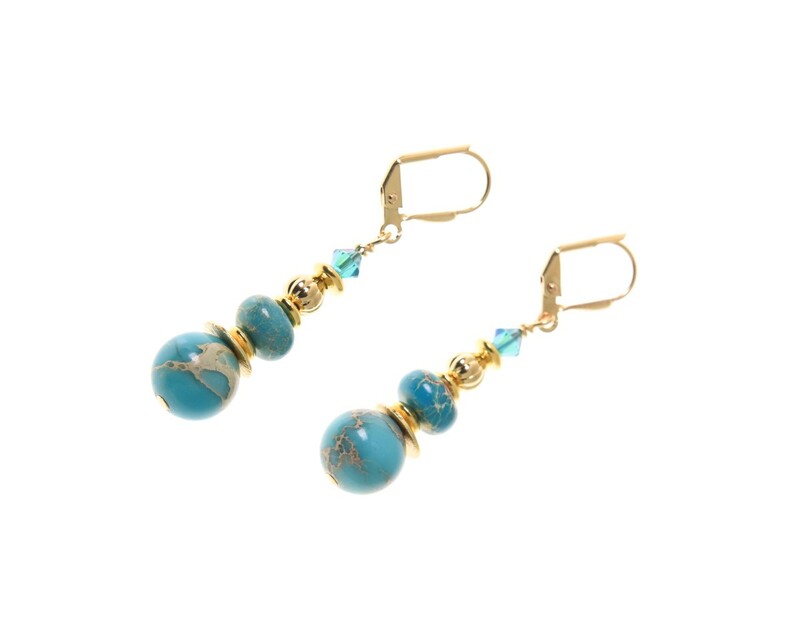 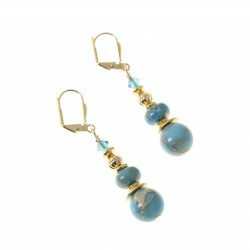 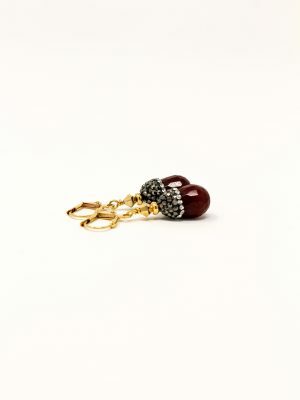 The beauty of the Azores are recalled in the colour of these earrings. 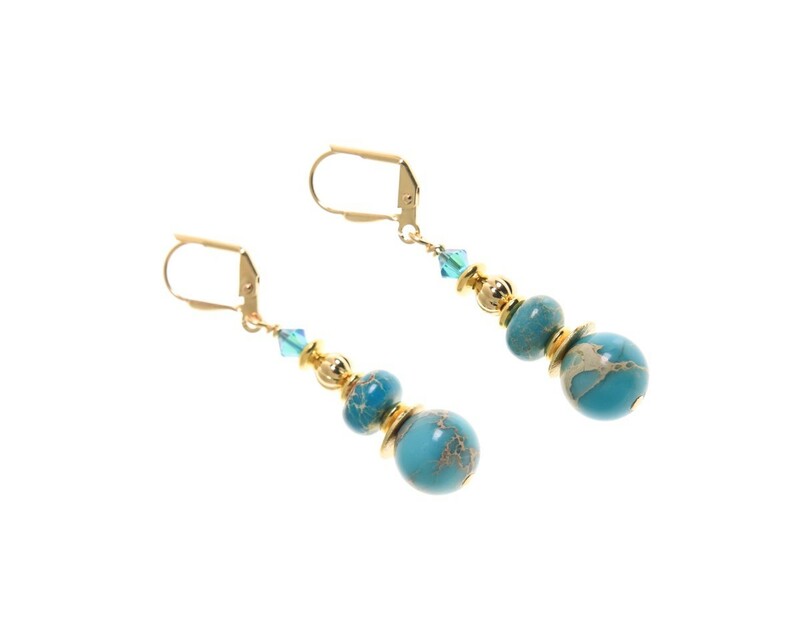 Glowing green, swirling golden tones and multi- toned sunsets- just some of the fun in the Azores earrings. Description: Gorgeous green regalite stones, brushed gold metal accents and shimmering Swarovksi Crystals, stones are suspended on hypoallergenic, lead and nickel free French hooks that fasten securely at the back.